In Mildred Pierce #2 I wrote a diatribe on Body Worlds that was more a confused intensity than a logically sound critique. A recent visit to the Virginia Museum of Fine Arts to see the Sally Mann retrospective upon the suggestion of friend/MP contributor Leeyanne Moore renewed for me certain questions raised by Body Worlds about the presentation of dead (human) bodies. It’s my hope that I am more articulate this time. Gunther von Hagens’ Body Worlds — “The Original Exhibition of Real Human Bodies” — showcases human bodies that have been plastinated (this is von Hagens’ innovation, a new way of preserving bodies and bodily materials) and posed in curious and at times problematically gendered ways. The exhibit, which has been touring the world for several years now in various forms, is a spectacle on numerous levels, and, when I saw it in Philadelphia in 2006, its flashy presentation of “real” human bodies — in which bodily fluids had been replaced by “real” fluid plastics — grossed me out; and the wonder with which many museumgoers approached these bodies perplexed me. I’ve actually manipulated cadavers, so my response to the exhibit was a So What? : what’s astonishing about heavily manipulated ‘realness,’ where the stench and messiness of decomposing bodily materials is sterilized out of existence? 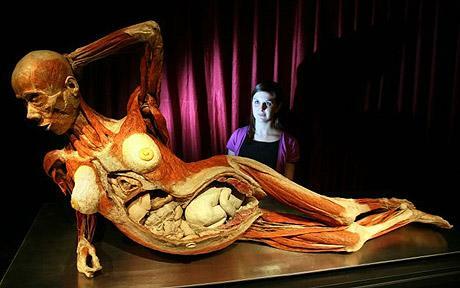 Surely one of von Hagens’ plastinations will someday be displayed next to the soap lady in Philadelphia’s Mütter Museum. In contrast to the ostentatious Body Worlds, I find the Mütter’s crowded display of bodies and body parts, many of them wax replicas, deeply fascinating and educative — the giant colon is a perennial favorite. I guess I just prefer the Mütter’s privileging of anomaly to Body Worlds’ heteronormative, ableist presentation of human embodiment. And I guess I’m more interested in the history of medicine and its wacky mishaps and assumptions than in ogling a ‘real’ pregnant body in a weirdly sexualized reclining pose with its uterus sliced open for all to see. The kind of ogling invited at Body Worlds seems exploitive, the supposed authenticity of the exhibition masking the obvious editorializing being done. 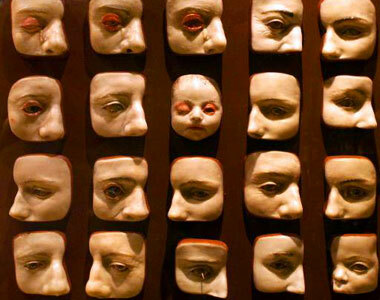 The Mütter is more humble, more fascinated with its contents, less invested in taking over the world and making a lot of money: look, we’ve got a wall of wax eyeball problems, come see. 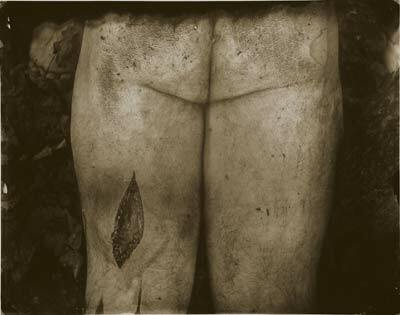 Like the Mütter’s, Sally Mann’s presentation of human bodies seems to escape the kind of exploitation that Body Worlds invites – or maybe is just more self-aware about its own voyeurism. While Mann’s oeuvre is full of bodies, I’m referring in particular to her photographs of corpses, currently on display as part of The Flesh and the Spirit at the VMFA. The series is part of a larger selection of photos from her 2002 exhibit What Remains, originally exhibited at the Corcoran. What Remains is a three-part series of photographs, the first grouping together gloomy landscapes of Civil War battlefields, all in low-contrast b&w. 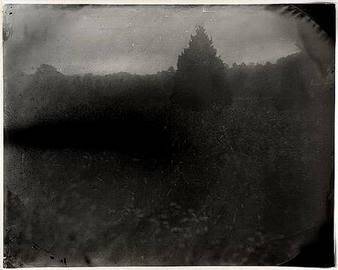 She used the same photographic techniques of the Civil War era, but didn’t try to perfect them as contemporary photographers did, her process resulting in a kind of scarring of the photographs — scratches, graininess, tears. The landscapes appear both wounded and proud, overcast with pain, gapingly out of time. The third part is a series of large-scale, exuberantly close-up photos of Mann’s adult children’s faces — a celebration of vitality through monstrous intimacy. The second group of photos interests me most, due to my own fascination with bodies and the rarity of seeing them decomposing outside, vulnerable to insects and buzzards, the elements. 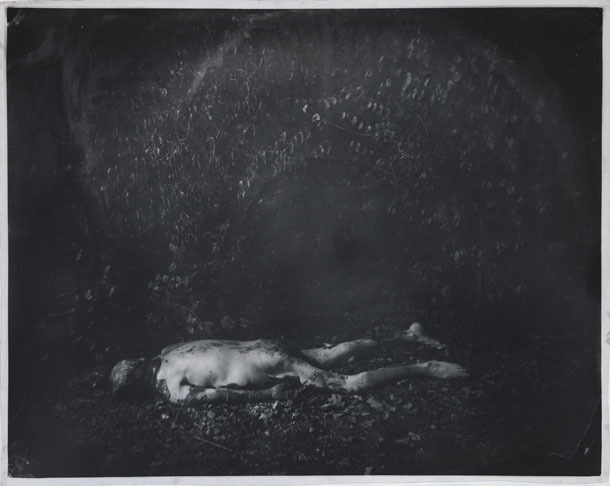 Mann’s photographs capture various shades and textures of decay: one body is fully decomposed from the torso down while still retaining the flesh on one hand; one appears to vomit maggots from its neck. In the documentary, Mann makes a very clear distinction between selves and the homes they’ve left behind. I don’t know if I’d separate the self from the body so entirely. But to me, the photographs perform a reclaiming of these unclaimed bodies, if not the lives that have left them, and evidence Mann’s respect for and fascination with bodies and their movement through time. Her photographic and processing tactics produce photography that announces its own artifice — the photographs are always photographic, there’s always a scrim that detaches the viewer from the viewed — tears and scratches, “mistakes” that remind you of their manipulation by an artist’s eyes and mind. So even as Mann’s photographs seem to present the “natural” or “authentic,” they disallow such a reading. Where both Mann and Body Worlds present essentially voyeuristic ways of viewing bodies, Mann’s approach to the body in death puts the sterility and unacknowledged artifice of von Hagens’ spectacle in stark relief. Mann is interested in the human; von Hagens in plastic. 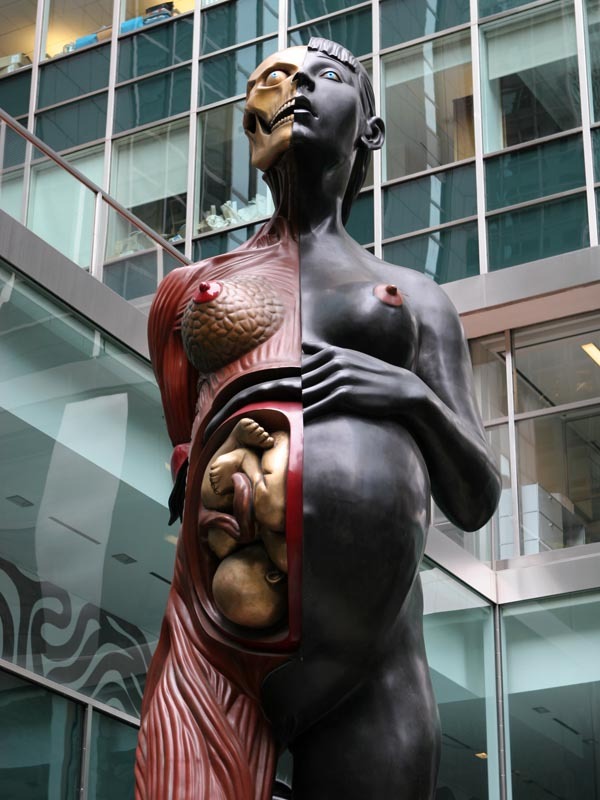 versus von Hagens’ ‘sculpture’ of a pregnant woman: von Hagens has largely escaped the criticisms that have been leveled at Mann and Hirst and other artists of the body whose art has been criticized for its ‘shock value’ — probably because he has the authority of science (its presumptive objectivity) and of science museums behind him. I’m a bit out of my league here, though, not knowing too much about the reception of these artists, or really of Body Worlds — making some assumptions. In my essay in MP2, I put Body Worlds in conversation with the popularity of shows like CSI and Bones — maybe I’ll return to that in another post, as this one’s exceeding itself.